Although I have had the opportunity to travel to Scotland, I cannot call myself an expert. So, I've asked my peer intrepid traveler and writer, Kathi Kamleitner, to give us her advice on the 5 outdoor adventures that no one should miss. Scotland Adventures with Kathi Ahoy! Scotland is an incredibly diverse holiday destination. While many people come here to travel back in time and visit historic castles and battlegrounds or discover their ancestry, others fly to Scotland to play golf, taste some whiskey or island hop around the many islands on Scotland's west coast. I, however, moved to Scotland with another thing in mind – and I'm certainly not the only one because Scotland is a top-notch adventure destination. Let me tell you about 5 outdoor adventures in Scotland you must not miss! Say what? Munro is a Scottish word which is used to describe a mountain in Scotland that is higher than 3,000 feet. There are 282 munros in Scotland and the most famous of them all is probably Ben Nevis, which at 4,411 feet is the highest mountain in the British Isles. Munro bagging means the effort to try and climb them all over time, but even if you only spend a brief holiday in Scotland, you should try and tackle at least one of them. You will find that many munros are easily accessible and don't require years of experience to climb, but a certain level of fitness and map/compass reading skills are necessary for any hike in the Scottish Highlands. Some of the most popular munros, apart from Ben Nevis, are Ben Vane, Ben Vorlich and Ben Lomond by Loch Lomond, Schiehallion in Perthshire and the peaks of Aonach Eagach and Buachaille Etive Mor by Glencoe. A great resource for trail descriptions and safety guides is walkhighlands.co.uk. If mountains aren't your thing, believe me, the waters of Scotland also have plenty to offer to you. The west coast of Scotland is one of the best sea kayaking regions in the world and boasts thousands of miles of coastline to explore. Oban is a particularly popular base for sea kayaking adventures around the islands of the Inner Hebrides and the sea-lochs of Argyll. There are a number of kayak outfitters to choose from where you can rent all the gear you need for big and small adventures. If you don't have the experience to head out by yourself, you can book sea kayaking courses and holidays where you paddle under the safe guidance of a certified instructor. If you are up for a challenge, you can follow the Argyll Sea Kayak Trail which leads 95 miles from Garavan just outside of Oban all the way to Helensburgh. 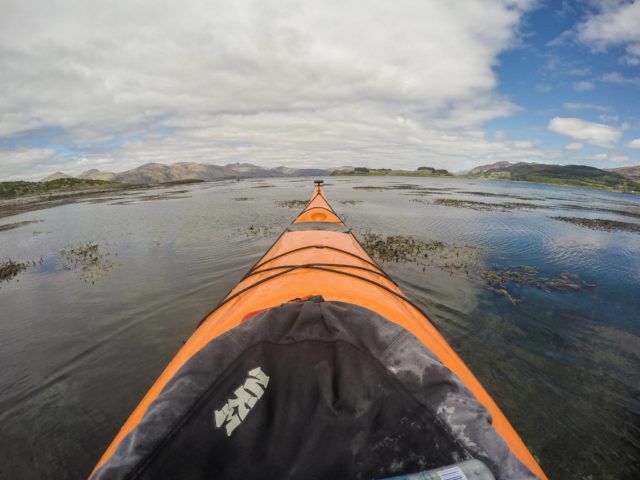 For shorter trips, consider bringing your kayak on the ferry from Oban to Mull or Colonsay and combine your paddle trip with cosy B&Bs and some relaxing days on the islands. When mountain trails are inaccessible to hikers during the winter, and the sea is too choppy for relaxing sea kayaking holidays, it is time to bring out your skis or snowboards. 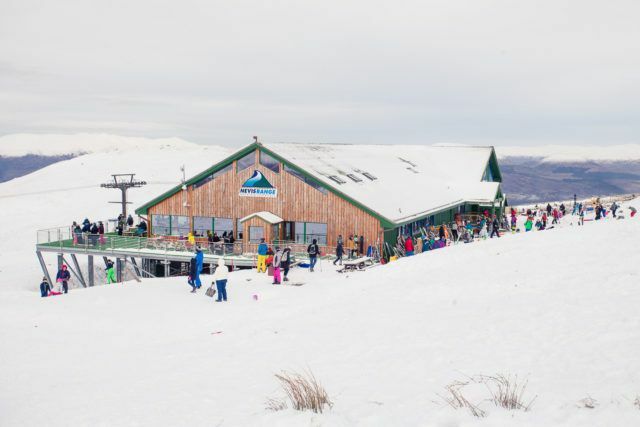 There are three skiing resorts in Scotland, which are open throughout the winter. Glenshee in the Cairngorms, Glencoe in the Highlands and Nevis Range at the foot of the might Ben Nevis all make for ideal day trips or weekend getaways from Glasgow or Edinburgh. Just make sure you arrive early – especially on a sunny day – as the resorts fill up with happy skiers very quickly when the sun is out! Admittedly, you need quite a bit of skill for hiking, kayaking and skiing in Scotland, but there are routes, trails and courses that make these outdoor adventures accessible even for complete beginners. 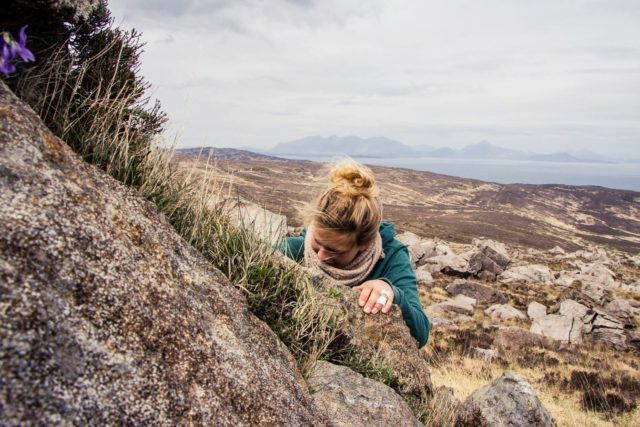 Climbing and bouldering in the Scottish mountains require a bit more technical skill and expertise, but if you are into either of these sports, the peaks of the Highlands are calling for you. On Scotclimb.org.uk you can find loads of information on rock and ice climbing areas all over Scotland, and Scottishclimbs.com is a great resource to find out more about bouldering areas and routes. There are indoor climbing centres in Glasgow and Edinburgh, and the climbing centre in Kinlochleven by Glencoe even has an indoor ice wall to practice your ice axe skills! My personal favourite outdoor adventure in Scotland involves a little more than a day trip to the hills or the sea. 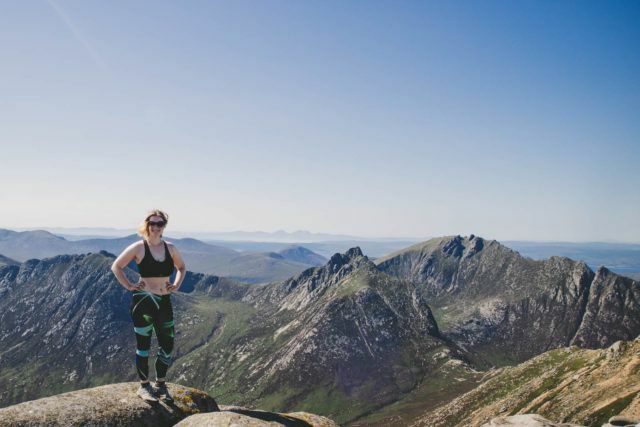 It's about endurance, getting far away from society and immersing yourself in Scotland's most beautiful landscapes – I'm talking of course, about Long-distance trekking. There are numerous trekking trails crisscrossing the country, lasting anything between 2 and 35 days. 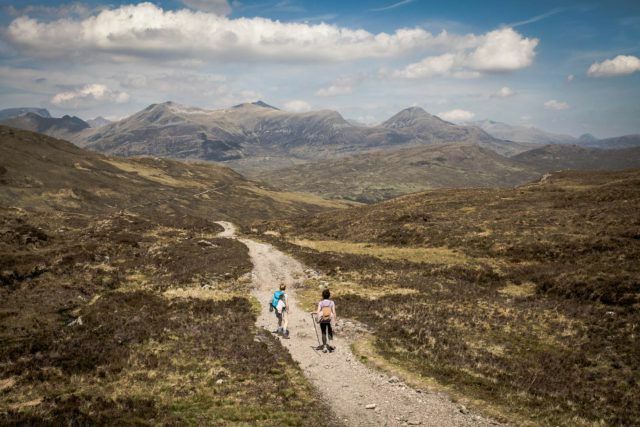 The most famous long-distance trail in Scotland is without a doubt the West Highland Way, which leads 96 miles through the southern and central Highlands, starting just outside of Glasgow and ending at the heart of the Nevis Range in Fort William. It takes anywhere between 5 and 9 days to walk the whole trail, but if you'd like to escape the hiking crowds, try walking the Speyside Way (also called Whisky Trail), the Skye Trail or even try your luck at the Hebridean Way. And with that all you need to do is chose an adventure or two to fill your holiday to Scotland, pack a backpack and head out!